Adventure! Imagine an adventure in the Himalayas – our thrilling range of activities includes mountain biking, white-water rafting, mountain flights, Heli trips, paragliding, zip lining, bungee jumps, hiking to really remote regions, rock climbing, mountaineering and peak climbing. Mountains! Mount Everest is the most famous, the highest peak in the world (8,848 m), but did you know that Nepal is home to more eight thousanders? Mt Kanchenjunga, Mt Lhotse, Mt Makalu, Mt Cho Oyu, Mt Dhaulagiri, Mt Manaslu, Mt Annapurna I...we’ll guide you to them all. Amazing nature! Come along to Chitwan National Park and enjoy a jungle safari in the lowlands – elephants, rhinos, crocodiles, and tigers hiding in the bush make this an exceptional wildlife experience. Then relax in Pokhara Valley, a beautiful lakeside retreat popular with yoga lovers. See the heritage sites! Local guides bring the history and traditions of Kathmandu Kingdom alive on our fascinating cultural tours – discover the ancient cities, visit the monasteries and temples, listen to the monks pray in a Buddhist ceremony, observe Hindu holy rites, and join in the festivities. Trekking! Our routes are suitable for everyone – experienced trekkers will love the challenging hikes to Upper Mustang, Everest Base Camp, Langtang, Manaslu, the Annapurna Circuit and many other exciting routes, while hill walkers can enjoy slower paced trails through the scenic foothill villages. Experience! Nepal Adventure Point Pvt. Ltd is a fully licensed company approved by the Nepal Tourism Board. 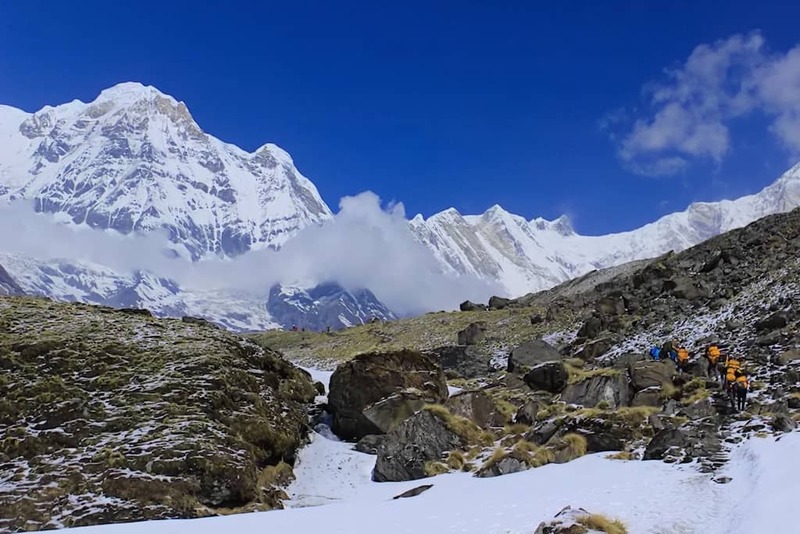 With over 2 decades experience as one of Nepal’s leading adventure travel agencies, we offer a wide range of activities and overland tours in Nepal and Tibet. Our guides are qualified experts. *Nepal Adventure Point extends a warm welcome to tour operators throughout the world! Would you like to work with us to promote Nepal holiday packages? We are looking for long-term business associates, professional travel agents to work closely with us, ensuring an exceptional service and unforgettable memories for every one of our guests. Please contact us for more information.